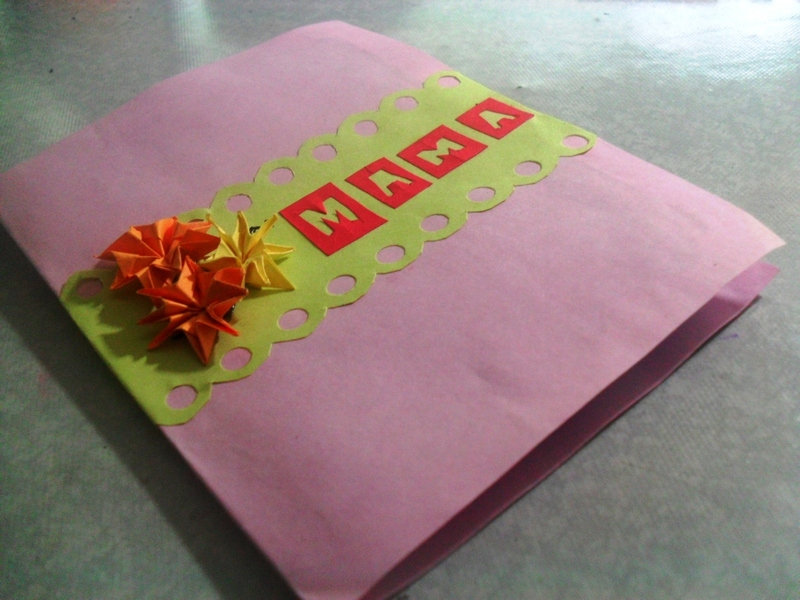 Happy Mother’s Day to every mom! Well, I wouldn’t also forget to greet my grandmother. 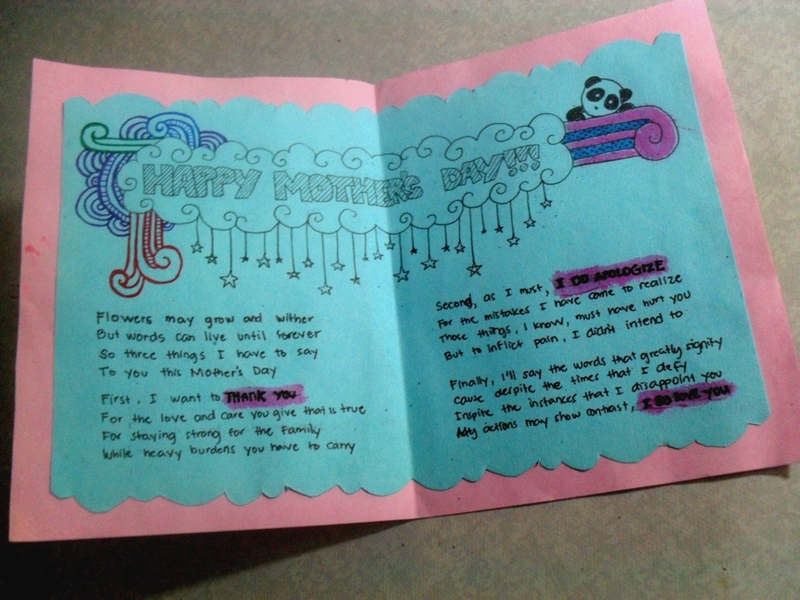 So here I am again, making a card for my mom. I’ve been doing this since childhood and the only times I didn’t was when we bought a cake instead. We’ve been flooded from last year’s typhoon Sendong and all the cards my mom kept that we, her children, have made, are gone. So I decided I’d make another one this year. It’s the front cover. . . pretty plain and simple. I’ve been out of ideas because I haven’t prepared for this day. So this is what I’ve managed. With a little tutorial from youtube, I made those flowers. Just fold and flip! If you can’t manage to read from the photo, I’ll quote it. My actions may show contrast, I DO LOVE YOU.